The Anti Drug Coalition was formed in December 2007 after the passing of a local youth to a drug related incident. 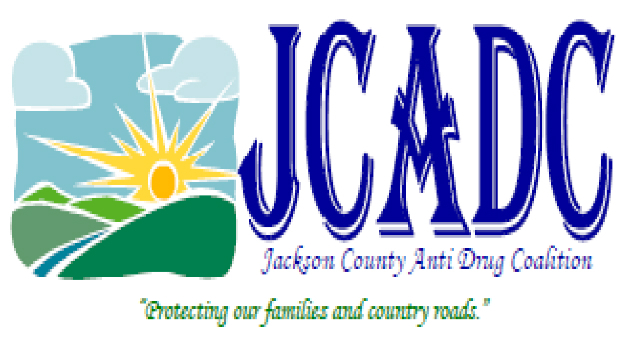 JCADC is a county wide effort to reduce experimenting, drug use, and underage drinking among youth in communities throughout Jackson County and the surrounding areas and, over time, to reduce substance abuse among adults. The Anti Drug Coalition was formed in December 2007 after the passing of a local youth to a drug-related incident, which at the time had been preceded by 12 other drug and alcohol-related deaths of youth and young adults ages 15-26 in the three years prior. In September 2009, the Jackson County Anti-Drug Coalition applied for and was awarded a Drug Free Communities Grant through the Substance Abuse and Mental Health Services Administration (SAMHSA). The grant is a 5 year grant in the amount of $125,000 per year for five years. Meetings are open to the public and are held at the Ripley City Building at 6pm the first Monday of the month in the Chamber Room for the general public. Youth Meetings are held in both Ripley and Ravenswood. Ripley Youth Task Force meets at 5pm on the first Monday of the month at the Ripley City Building. Ravenswood Youth Task Force meets at 7:30am every other Thursday at Ravenswood Middle School. Our Adult Coalition meets at 6 pm the first Monday of every month (unless it is a holiday) at the Ripley City Building. Anyone is invited to attend and get involved! Both our Youth and Adult coalitions complete work guided by Environmental Strategies. Ripley Youth meet at the Ripley City Building the 1st Monday of each month at 5pm in the Chamber Room. It is no longer considered safe to flush your old medications down the sink or toilet! The Anti-Drug Coalition has teamed up with our local law enforcement agencies to offer you a better option to dispose of your medication! Permanent Drop Boxes Are NOW AVAILABLE at the Ravenswood and Ripley Police Departments, as well as the Jackson County Sheriff's Department. by the Jackson County Sheriff's Department.